I am always leery of pre-cooked meals, meats especially, so I was a bit skeptical to try these grilled & ready chicken breasts. But hey, I got free coupons from Foodbuzz Tastemaker Program so I thought it couldn’t hurt. I can always get rid of it if I didn’t like it. Well, I didn’t throw them out and I actually went and bought a pack for my daughter last weekend when we dropped her off for summer school. These were actually quite good and didn’t have that dry and gummy pre-cooked taste that I was expecting. They were well seasoned and moist, and tasted just like the way I would have cooked them. With the warmer weather and abundance of fresh produce in the markets, we have been making more salads and sandwiches and we have used Tyson® Grilled & Ready® Frozen Chicken Breast Fillets as an easy addition for these meals. The package that I bought for my daughter when we dropped her off at her dorm last weekend, she used in a stirfry and worked out wonderfully. This pre-cooked pack is perfect for her because she doesn’t like to mess with raw meat anyway, much less in her dorm’s kitchen. She said it was the quickest and easiest stirfry she has ever made with us buying pre-cooked chicken and pre-sliced vegetables. Ok, it probably cost more than it needed to be, but for the convenience for someone who doesn’t have a full kitchen at her disposal but still wants to be able to eat home-cooked meals, it was worth the price. As for us at home, we’ve had the luxury of incorporating it into our favorite dishes. My youngest daughter loves soups, for instance. So when we gathered some leeks from the garden a few weeks ago, she immediately requested potato leek soup. 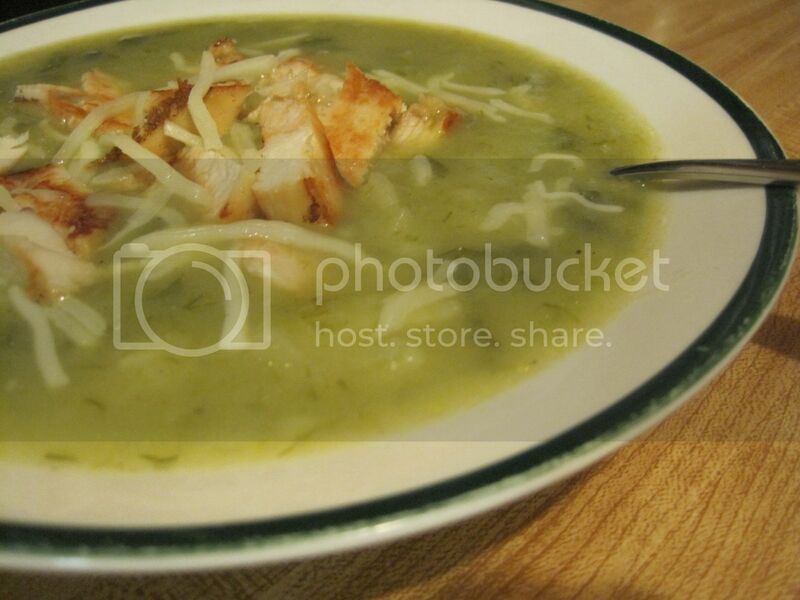 Just before serving, she topped her soup with a few pieces of grilled chicken breasts that she warmed up in the microwave, a bit of cheese, and she had a hearty but light supper! I will have to try them. 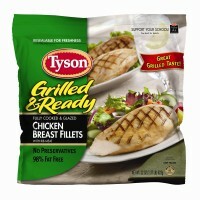 I also found that Tyson has chicken patties, regular and seasoned that we love to make chicken sandwiches from.